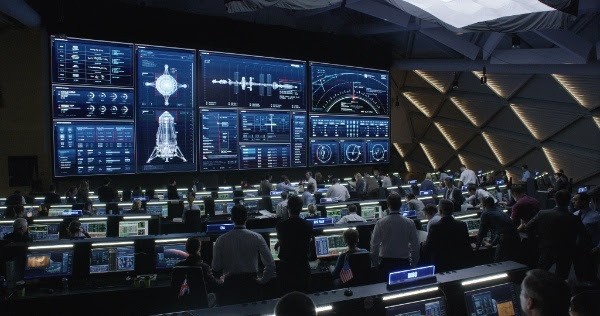 Territory, represented by ODD (Office of Development & Design), recently partnered with specialists at NASA to design future user interface (UI) technology featured in The Martian. Territory collected a wealth of information including modern day interface designs used by astronauts and ground control after months of extensive correspondence with NASA specialists. The drama unfolds in The Martian with Territory’s graphics in full view - effects that quickly become part of a dynamic bridge between Earth and Mars, narrative and action, audience and characters. "We stayed true to the data NASA provided,” says Creative Director David Sheldon-Hicks on the final look of the film's UI. "All the interactive controls came from real data, and that helped Ridley tell a compelling story while never straying away from reality." A bevy of effects created by Territory are featured in the film including images, text, code, engineering schematics, and 3D visualizations based on authentic satellite images showing Martian terrain, weather, and mission equipment. All UI effects were displayed on consoles, navigation and communication systems, laptops, mobiles and tablets – even on astronaut’s arm screens. “Some of the wearable tech was a collaboration with the costume department,” reveals Sheldon-Hicks, also liaising with set dec to garner visual references and cues to assist in the design process. "Territory’s ability to create specialized visions of the future is completely unrivaled," explains ODD executive producer Tim Case. "Digital innovation is changing the rulebook on how brands choose to advertise, and with that comes exciting new ways to connect with consumers like never before. The future is about entertainment, not the hard sell, because the byproduct of that is brand loyalty."